This will be the first year in three years that I’m not living in London for the festive period and I hadn’t anticipated how much I would miss it. 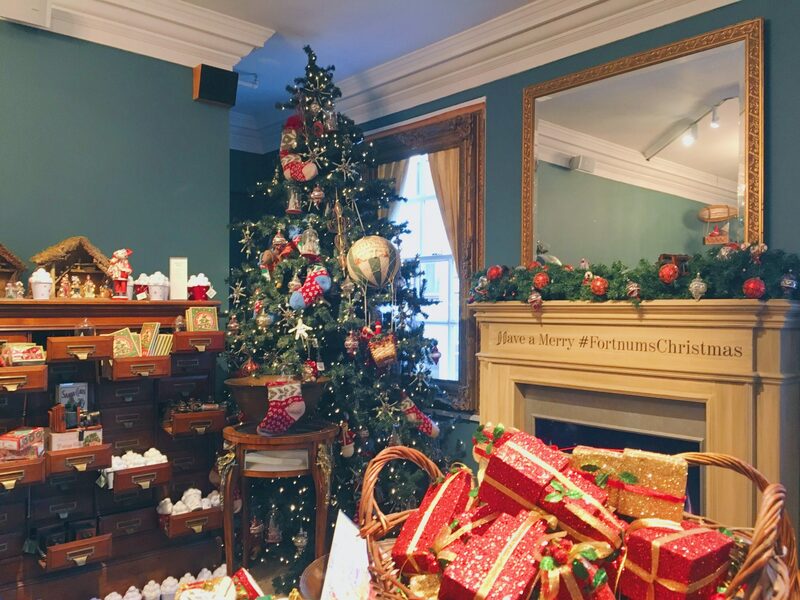 There is something wonderful about London at Christmas, from the early Christmas displays to the unique London pop ups. I’ve already missed just popping into the shops on my way home and grabbing a few bits of my Christmas shopping. But as December begins there are so many other things I am going to be missing out on. If you are able to spend a day in London this December then there are a wealth of things for you to see and do. There are the typical markets and shopping but I’ve chosen the things that I find are more unique to London for this list. London is the home of pop ups from summer food trucks to dinner pods on the Thames. There is always something new and exciting to try in the capital. However, this particular pop up is one that has been around for a few years but this year has got much bigger and better. I’m talking about The Lodge Clapham, this is somewhere we went to last year when it was in Clapham in a tiny bar decked out to feel like a lodge in snowy Europe. You know, the kind of place you come straight off the slopes and fall into. This year The Lodge is located in central London on Southbank inside those magical snow globes for private dining, as well as having two bars set up. 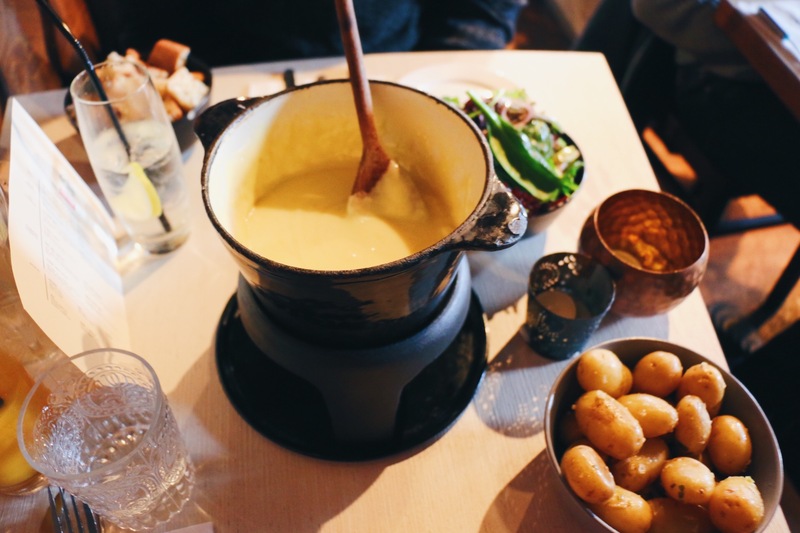 The menu features the iconic cheese fondue from last year along with some additional new treats from the street food menu. You can find out all you need to know here. 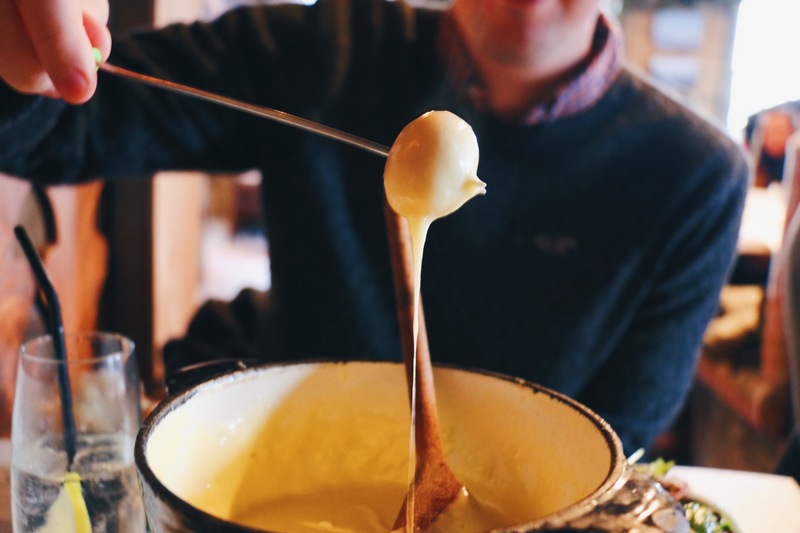 The cheese fondue is worth it without the magical location so I can only imagine how good this year will be. The light displays are always exciting in London. 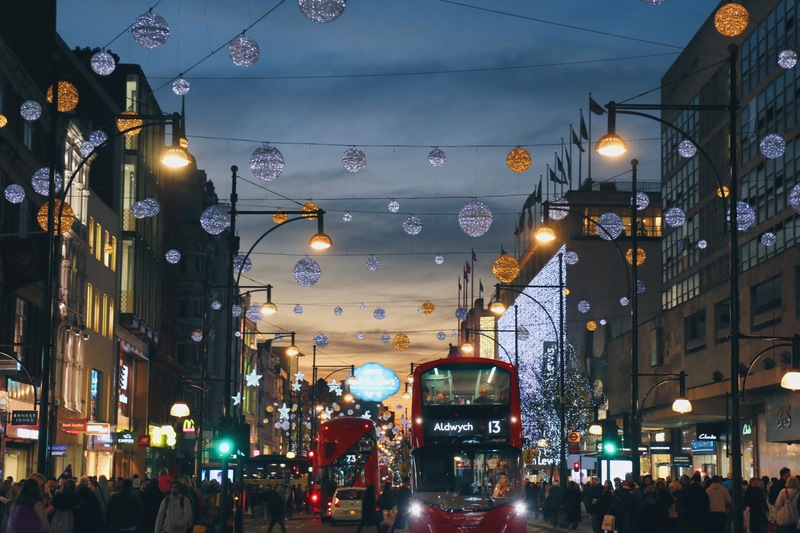 From Oxford Street displays to the giant Christmas trees dotted around the city. There are so many places to go to get your fill for Christmas lights. 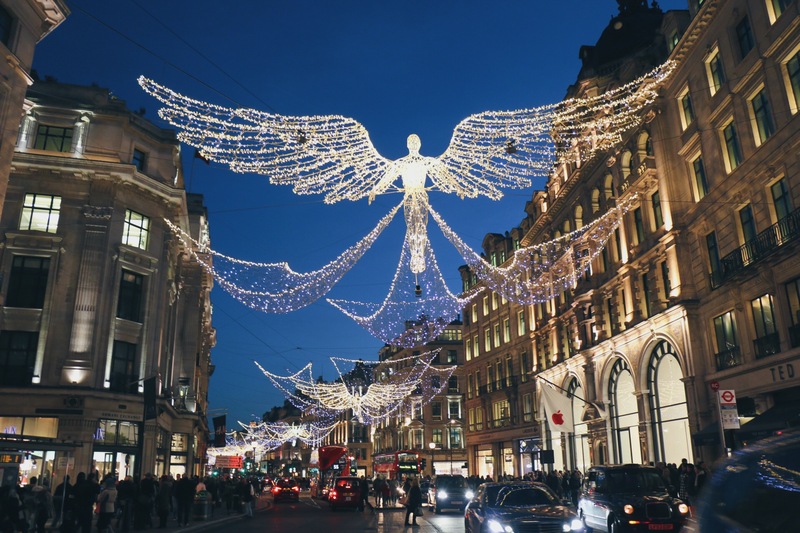 Oxford and Regents Street are home to the biggest lights display in London, again this year hanging above your heads are angels, baubles and stars. They look magnificent in the dark especially with the bright red London buses glowing below. Covent Garden is home to a glorious display as well or at least it looks like it from Instagram as I’m living my London Christmas vicariously by others. There are mistletoe lanterns hanging inside the main buildings and then a massive reindeer and sleigh in the courtyard. If I make it to London this Christmas this will be my first stop. Other places that had good displays last year include Carnaby Street, Southbank and outside Harrods. One of my favourite things to do in London at Christmas is to visit the wonderful displays in the major department stores. 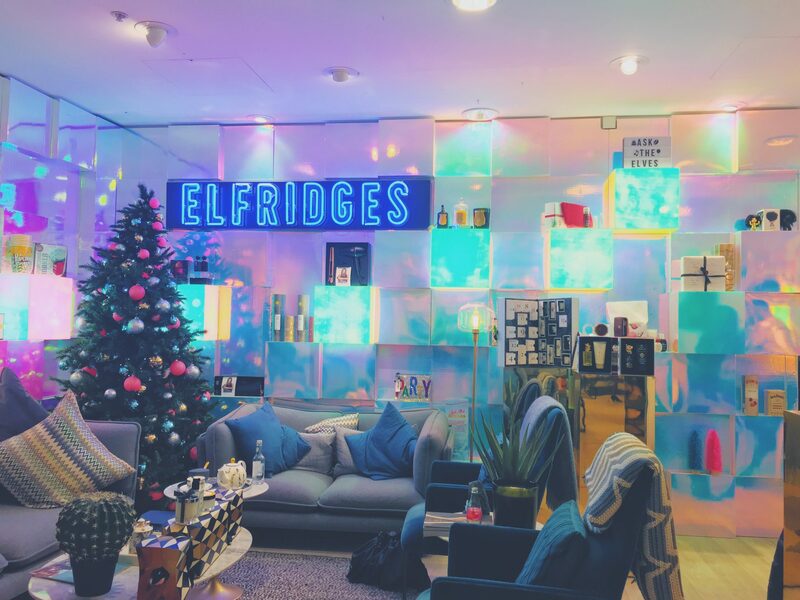 Selfridges is the best place to go for decorations as not only do they have an entire level dedicated to Christmas but also the whole store around the escalators is decorated. This isn’t the only store worth braving inside, Fortnum and Masons has more than one Christmas display, Harrods has a massive Christmas display and Liberty is up there too. Shop displays aren’t just about the inside either, the above shops had incredible outside displays too but so do Tiffanys and Cartier, a walk down Bond Street is certainly worth it. The stand out Christmas attraction in London has to be Winter Wonderland. Taking over a fraction of Hyde Park, this place is a true immersion into Christmas. From food and drink stalls to adrenaline inducing rides, Winter Wonderland has something for everyone. It’s for socialising with pals, doing some last minute Christmas shopping, a date night or just wandering through and grabbing some shots. My favourite time to visit Winter Wonderland is after dark has fallen and the lights are twinkling brighter than the city. This time to me makes the place feel that little bit more magical. Of course don’t leave it too late to enter or you’ll risk having to queue. Finally, my last London Christmas activity is to grab a pair of skates and get active. London has so many ice rinks in the city at this time of year and most of them are set up in a pretty iconic location. My favourite two have to be the ice rink at the Natural History Museum and Somerset House. They provide some of the best views whist burning off some of those Christmas chocolates and extra alcohol. Talking of alcohol I’d maybe save that until after the skating unless you want to end up sitting on the ice. What is your favourite thing to do in London in December?